Nothing quite beats the feeling of snuggling up to a loving, cosy pet at the end of a long day. But did you know that there are actual benefits to cuddling and petting your furry best friend? Here are 4 interesting facts you might not know about cuddling with your dog. Studies show that when you cuddle and interact with your dog, both you and your pet show increased levels of oxytocin. 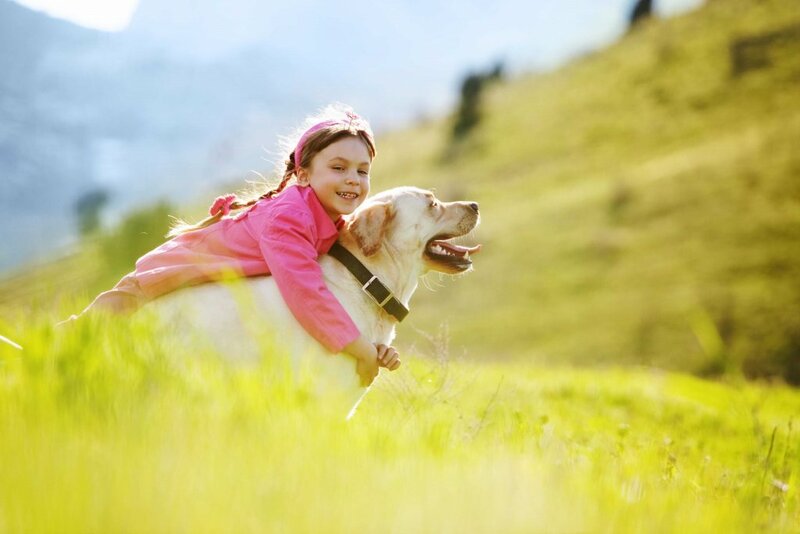 Oxytocin is a chemical, also known as the “love hormone”, that stimulates the feelings of happiness and love, deepening the connection between you and your pet. Oxytocin is released by the body during social interactions such as between a mother and her child, or a couple in love. Dogs are like family members to the most of us and keeping our four-legged friends safe is an important matter. A Tractive GPS is the best solution to keep your pup safe anytime. Should your furry best friend get lost, a Tractive GPS helps you find the location of your dog in real-time, conveniently from your smartphone. This way, you’ll be reunited with your best hugging buddy in no time! Curious what other benefits are offered by Tractive GPS? Our four-legged friends are more like us than you might think. Just like your average human, they need physical touch and bonding to be happy. And just like humans, they’re pack animals. If you isolate a dog, you’ll cause it unnecessary and dangerous emotional stress. Cuddling a cute, loving animal is the best cure for stress, anxiety, sadness. Cuddling your dog isn’t just good for your pet, but for you too. Cuddling can have multiple psychological benefits for both you and your furry friend. It reduces levels of Cortisol, the hormone that is responsible for stress, anxiety, depression and, worst-case scenario, breakdown. With lower levels of Cortisol in your system, you are more likely to feel happier, healthier and relaxed. Studies have shown that cuddling your dog — or anyone else you love for that matter, can even lower your risk of stroke. Whether your dog is a dachshund or a rottweiler, a lab or a boxer, all dogs deserve love and care — and for every second of cuddling, they’ll swear a lifetime of loyalty and respect to you. What can be more touching than this? Just like humans, all dogs are different. This means that some dogs may be real cuddling machines, while others prefer a bit more alone time. This all depends on how they are raised and feel about human interaction. Be the best pet parent you can be and respect your dog’s boundaries! Like what you’ve read? Share it with your dog loving friends!